India is among the few countries in recent years to have posted continuous economic growth amid recent global uncertainties. The Indian economy is expected to continue posting gains in the coming years, according to the latest India Development Report by The World Bank. Gross Domestic Product (GDP) growth accelerated to 7.6 percent year-to-year in fiscal year (FY) 2016, from an average of 6.5 percent from FY 2013 to 2015. Lower oil prices and a prosperous 2016 monsoon season are positive indicators of continued Indian economic growth in FY 2017. In addition, a sweeping tax reform measure called the Goods and Services Tax (GST) bill, already ratified by several Indian states, is expected to boost the Indian economy in FY 2017. At the same time, direct foreign investment in the Indian economy in FY 2016 has increased to $40 billion, a 29 percent increase compared to the previous year. Many major global companies have announced plans to invest in the Indian economy or expand their operations because of the nation’s economic growth. A number of infrastructure projects supported by the Indian government have been initiated. Billions of dollars are expected to be spent on these projects, which include petroleum, refineries and petrochemicals, power plants, ports, roads, and railway projects. However, the practices necessary to execute the most cost- and schedule-efficient projects in India are still not well understood. When it comes to India, both Western and Indian companies continue to struggle with framing and executing successful capital projects. 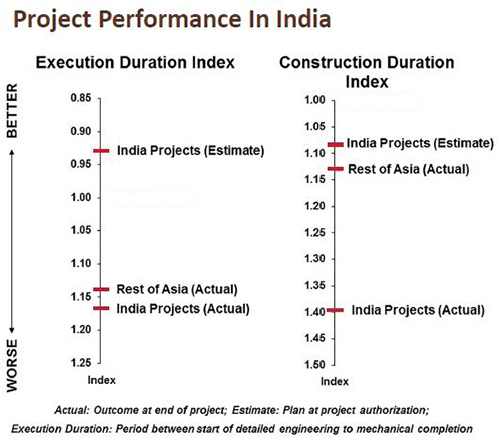 Generally, the cost performance of projects in India tends to be near or at the industry average. Execution schedule slip, on the other hand, is routine, mainly due to construction delays. Effective construction management is a big challenge in India. Part of the problem is that poor productivity at sites is an accepted fact, but project managers are often willing to risk schedule slip due to the availability of inexpensive labor. Meanwhile, permitting and procurement issues, undue stakeholder influences, and logistic challenges are the norms in Indian projects. There are also issues related to taxes and duties between states within India, notwithstanding the potential effects of the GST bill on projects. To succeed in a dynamic market, IPA’s clients recognize how companies must constantly re-evaluate their approaches to projects. To advance Industry’s knowledge for successful project execution in India within the current marketplace, IPA is initiating a new multi-client research study. 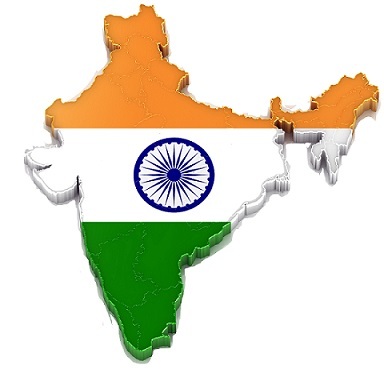 IPA is looking forward to helping clients gain a more complete understanding of how to improve the effectiveness of capital invested in projects in India. The author, Manoj Prabhakar, Associate Project Analyst, is IPA’s Business Development Lead in India.